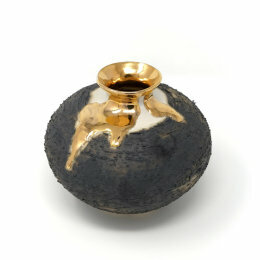 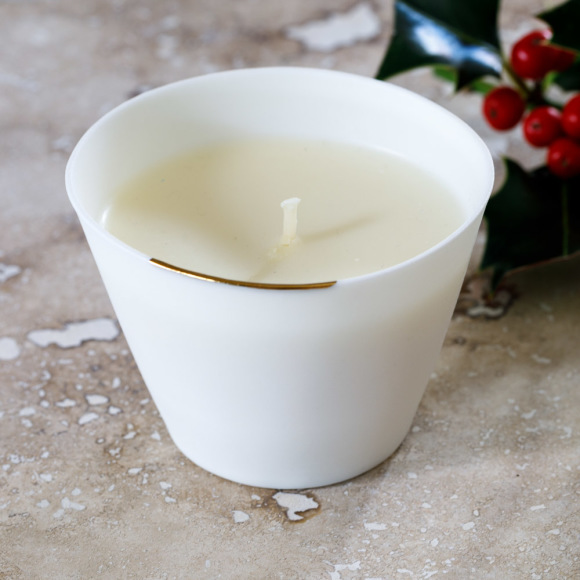 The white porcelain 'Christmas' scented candle has been created by ceramic artist Ana Bridgewater and features her signature 22 carat gold lip. 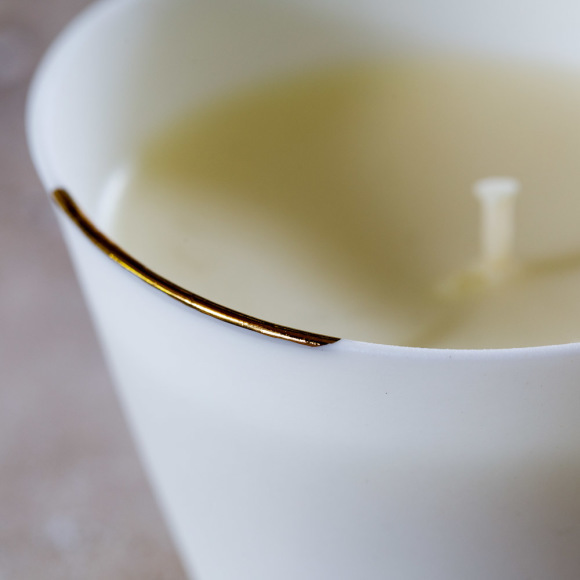 With warming notes of cinnamon, bergamot, orange, lemongrass, geranium and basil this luxury candle has a wonderful translucent glow when lit. 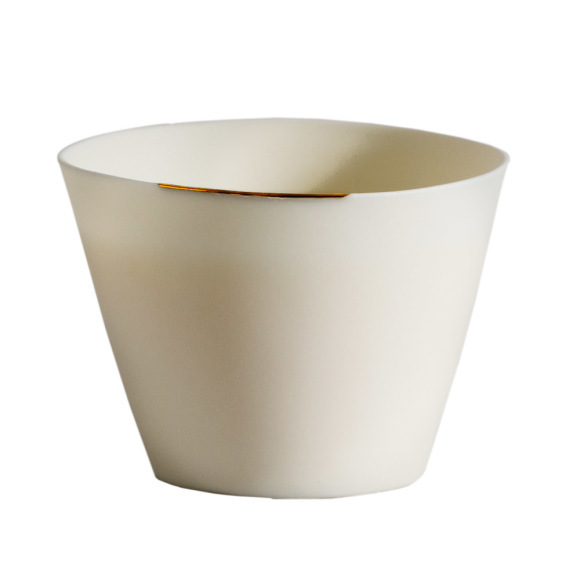 Made from Ecosoya wax, this beautiful candle can be re-filled or even reused as a drinking vessel.